Were you disappointed in the results? Many users have shared their negative experiences with the PayPal/QBO connection. Long lists of transactions get imported, but wait... transaction details you need are missing, transactions aren’t categorizing correctly, some transactions didn’t import at all! Now you’re stuck with hours of extra work to sort things out. And this was supposed to be easy! PayPal is one of the most widely accepted online payment apps. It’s used by small and large businesses alike because of its low cost, customer friendly interface, and speed. Unfortunately, many users have found that linking their PayPal to QBO is not customer friendly and…in the long run…not very speedy! 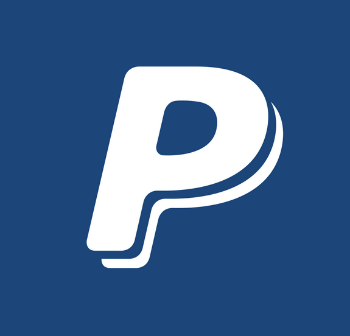 The truth is that there are actually two different ways to connect your PayPal account to QBO: the Sync with PayPal App and the PayPal Bank Feed. Each works a little differently and imports different transaction details. Choosing the wrong one could lead to hours wasted in frustration and tedious damage control. This app is perfect for sales-driven businesses that funnel a significant portion of their sales volume through PayPal. E-commerce, point-of-sale, and PayPal invoices are imported with exceptional detail. Sales receipts are automatically generated in QBO pre-filled with the details of the sale. Sales tax and PayPal fees are automatically imported to default accounts (PayPal Sales Tax and PayPal Fees) to correctly reflect those expenses. Users can also choose to import all PayPal customer information into QBO as well. This app imports all expenses and transfers into default categories. Payments to vendors or subcontractors in different expense categories must be modified manually in QBO after they are imported by the app. If you track inventory in QBO, it will NOT update according to the sales receipts imported by Sync with PayPal. The inventory must be adjusted manually. ALL payments into your PayPal come through QBO as a sale whether it was or not, so you’ll still want to double check that the sales receipts are accurate. Bottom Line: Do your homework! This app can do wondrous things if your PayPal account is used primarily to process sales. However, the set up can be confusing, and if done incorrectly any sales transactions imported must be deleted manually. Take your time and read other’s reviews to make sure this is the right integration for your account. If it is, prepare to be amazed at how much time you’ll save! If your PayPal account is a multi-tasker, then you might prefer the PayPal Bank Feed. It works the same way as the other bank feeds, keeping your workflow simple. It gives a higher level of detail and control for companies who frequently use PayPal to pay vendors/subcontractors and transfer funds to other banks. You can review all transactions before they are imported, allowing you to modify the categories and payee information as needed. Expenses and transfers out of PayPal contain more detail and can be modified to post to the correct category before importing, saving you some potential headaches. Sales transactions are more generic through this integration, and sales receipts must be created manually. However, for service businesses and lower-sales-volume ventures, this might not be such a burden. PayPal fees are also harder to deal with in the bank feed. Sales transactions and fees appear together as the gross amount of the sale. Then a separate expense transaction with the associated PayPal fees appears later in the feed. 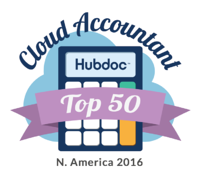 To see the sales and fees at their net amounts you must use a workaround suggested by Intuit support. Bottom Line: The PayPal Bank Feed might not be as automatic as the app, but it does put you in the driver’s seat! You can quickly manage what gets added to QBO, how those transactions are categorized, and what information is displayed. For multi-tasking PayPal accounts, this detail and control is a must – even if it means spending some time entering sales receipts and fees. Whether you choose the Sync with PayPal App or the PayPal Bank Feed for your business depends on the types of transactions that come through your PayPal account and the details you need to see in QuickBooks Online. Using the right connection will set you on your way to a smooth streamlined workflow. And to all you clever problem-solvers out there – No, you cannot use both of these integrations together to get the best of both worlds. Trust me. Don’t do it! You will end up with duplicate transactions up to your eyeballs. So, tell us, which PayPal connection do you prefer and why?